While we had tons of fun yesterday, I felt like I should share our Valentines on Valentine’s Day! 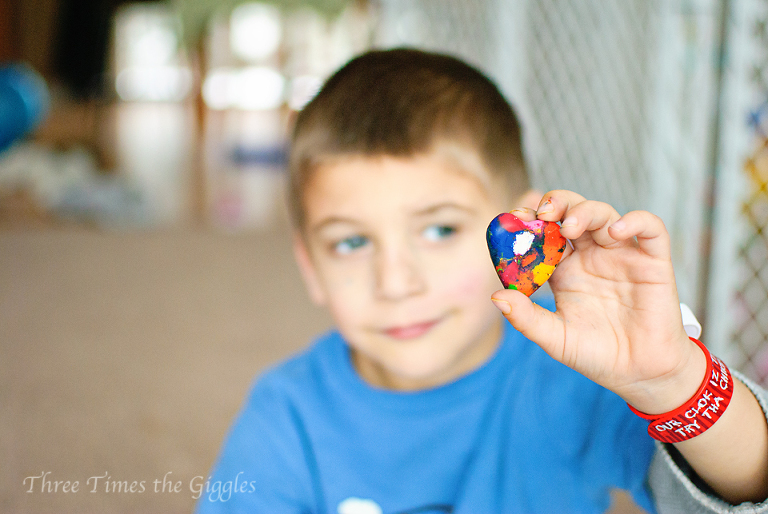 I’ve seen the crayon hearts pinned quite a bit on Pinterest the last few weeks, which made me nervous that other kids in the boys’ class would bring them too, but we seemed to be it for their class this year. Whew! I was nervous the other kids would end up with half their Valentines being crayon hearts, considering they’d be getting 3 from my boys alone. I saw the silicone heart shaped ice cube trays in the dollar section of Target several weeks ago, and grabbed two before they were gone! Turns out, when making recycled crayons, silicone is the way to go. 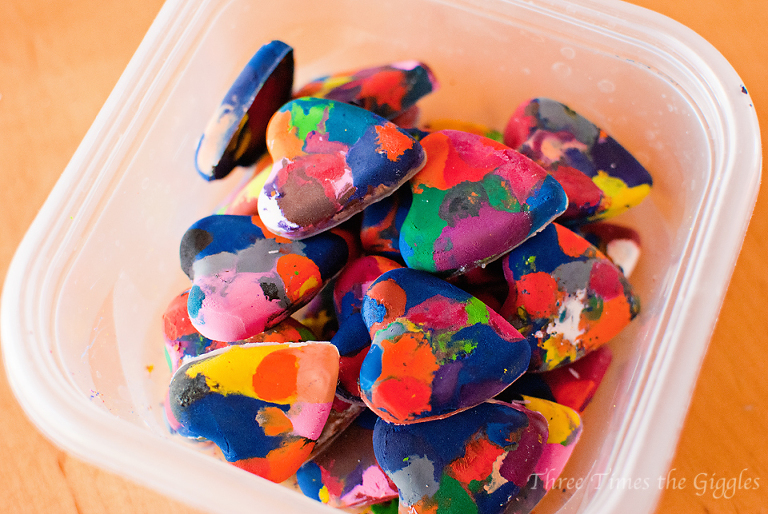 I tried making crayons before, a couple of years ago, and had a terrible time getting them out of my muffin tins, but these hearts were easy to pop right out! For the Valentine’s the boys handed out this morning, I taped one heart to a piece of card stock, which said “You make my world bright and colorful!” and the boys signed their names to them. I made enough for them each to give one to their classmates, but I drew the line at making enough for them to give one to each other. Thankfully, the boys were totally ok with that and their teachers told me they were great about it when it came time to hand the Valentine’s out today. Whew! Silly kids! 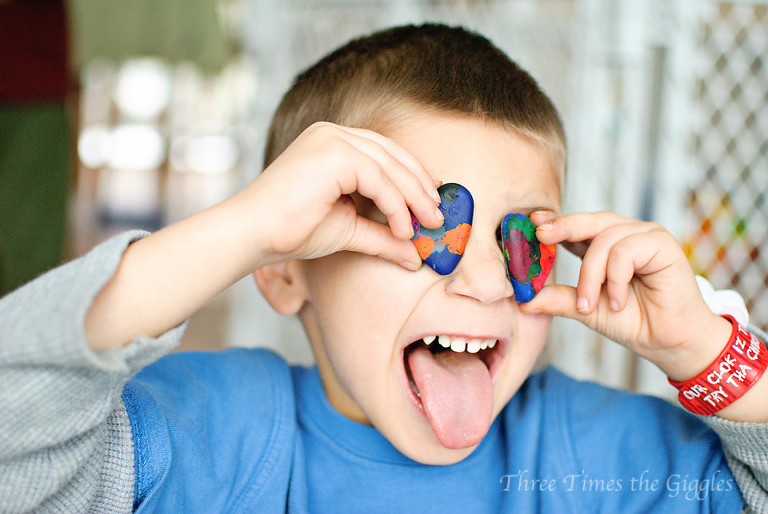 Chase did this so many times yesterday, that he ended up with crayon marks all over his face! 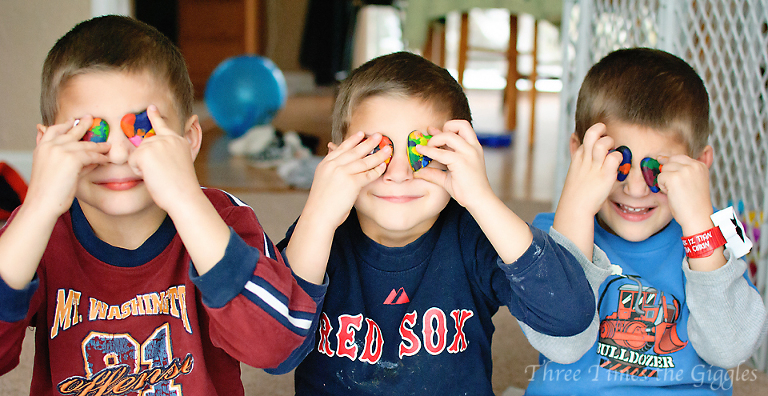 The boys were thrilled with all of the loot they brought home from school today! My living room floor is currently littered with little Valentines. Speaking of little Valentines…. 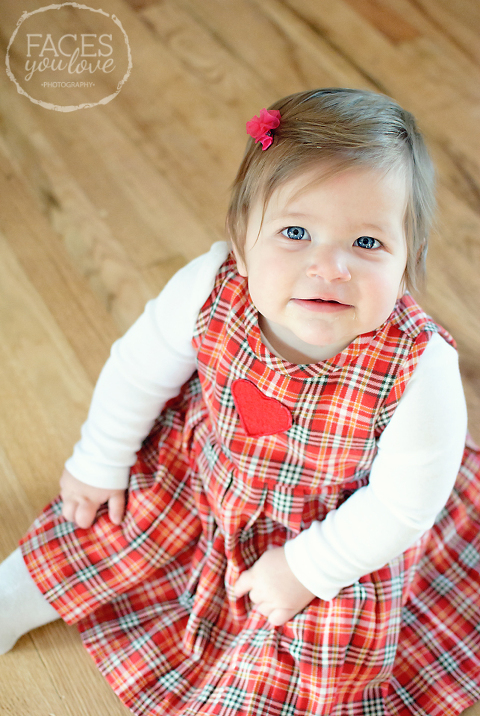 That’s my littlest Valentine, earlier today. Good grief, she’s cute!